Posted on Blog on November 13, 2017 by admin. Riverdale, New York. (September 7th, 2017) LichtensteinRE has just successfully sold an industrial manufacturing refrigerated and freezer distribution warehouse located at 1123 Worthen Street in Hunts Point, South Bronx, New York, 10474. The property was sold for a record price of $7,325,000 all cash. Back in 2008 Gourmet Guru a gourmet food distribution company founded in 1996 acquired this property and invested millions to outfit it as a state of the art refrigerated and freezer center centrally located in Hunts Point. In 2016, Nasdaq traded “UNFI” United Natural Foods Inc. and Fortune 300 Company, with nearly $9 billion in revenue and over 1,000 trucks is the largest distributor of natural and organic foods, specialty foods, and related products in the United States and Canada and is the primary distributor to Whole Foods Market, bought Gourmet Guru for an undisclosed price. UNFI leased back the entire property until mid 2017. Just recently Andrew Lichtensetin sold this property which was delivered vacant at the time of the sale to new buyer The Wonderful Company based in California, one of the largest privately owned companies in the entire country with $ 4 billion in sales. The Wonderul Company is a grower and distributor of 9 of their own brands including famous household names like POM Wonderful Pomegranate Juice, Wonderful Pistachios, Wonderful Almonds, Fiji Water as well as halos, Wonderful Sweet Scarletts Texas Red Grapefruit, Teleflora fresh flower delivery, Justin World Class Wines and Landmark Vineyards and Winery. According to NYC the property has 14,320 above ground usable square feet; however, including the usable storage cellar and parking lot there are actually 33,000 usable square feet at this industrial warehouse. The sale’s price represented a $512 per square foot and a Cap rate from the prior UNFI tenant of around 4.47%. The warehouse property located on the very desirable corner of Barry and Worthen Streets, is in mint condition, and was fully modernized, retrofitted and renovated in 2010. This industrial property built in 1920, contains brand new offices and conference rooms, state of the art security digital high definition cameras, usable expandable exterior roof deck, leed certified energy efficient HVAC cooling refrigeration system, fenced yard and a freight elevator. The building possesses a tremendous amount of electrical power consisting of two 400 amperage electrical panels, and five 250 amperage electrical panels making a total of up to 2,050+/- amps of electricity. Equally important, the property contains a corner parking lot with four 18 Wheel Truck Refrigerated Loading Bays. The new buyer will also get the property’s Premier location in (NYEZ) Economic Empowerment Zone benefits, including, but not limited if applied for and approved, low interest loan availability, tax credits, reduced/exempt real estate taxes, discounts on Con Ed gas and electrical utility rates, huge savings on mortgage recording tax and construction exemption sales tax. The building is located in the Trendy Hunts Point Section of the South Bronx, the New “Piano District.” Like Mott Haven and Port Morris, Hunts Point is going through a gentrification process. As an example, average rents in Mott Haven/Hunts Point rose by 28 percent between 1990 and 2010-2014. Aditionally, almost 46% of all development in the Bronx is happening in the South Bronx. The property is right off the Hunts Point Food Distribution Center, the Largest Food Center in the World. Hunts Point Cooperative Market is a 24/7 wholesale food market located on 60 acres with revenues exceeding $2 billion annually. It is comprised of over 800 food wholesalers, distributors and food processing businesses and it employs over 25,000 workers. Finally, the property is Right off the Bruckner Expressway and other major highways for easy quick access to Manhattan and other boroughs. It is also located steps from the 2, 5 and 6 Subway Train Lines. The Property is located only two blocks away from the already approved Metro-North Train Stop in Hunts Point. The property was exclusively marketed by Andrew Lichtenstein who was the sole source that procured the buyers as well. LichtensteinRE has been actively selling multifamily property and setting sales records for its clients in and around New York City, especially in Brooklyn and the Bronx. Posted on Blog, Uncategorized on June 13, 2017 by admin. New York, NY (LichtensteinRE.com) Andrew Lichtenstein, President of LichtensteinRE, has just successfully sold and resold the property located at 56 Groshon Avenue in Yonkers, Westchester, for $999,000 all cash negotiating the price down from the original asking price of $1,175,000. This Yonkers property is a completely renovated 5,200 residential square foot three story walk-up wood frame apartment building with Six (3.5 to 4) bedroom residential apartments plus large basement with seven storage spaces. Each tenant pays all utilities, including heat. The building contains 6 separately metered hot water heaters, 6 boilers and 7 electric meters making this investment a virtual net leased property. Andrew Lichtenstein successfully closed the deal twice on the same day, but this was not the first time he had sold this property. Andrew sold the building three consecutive times in four years. Andrew had previously sold the building in 2014. That year the property was in contract to be sold for $650,000 but a fire severely damaged the top floor and the fire department’s fire hoses damaged the rest, resulting in the evacuation and vacancy of the entire building. This derailed the sale and prevented the closing of that sale. Even before this accident, the property was in bad shape and rents were low. The Gross Annual Income was just $95,928. The owner at the time, Adar & Family, Inc. did not fix the property after the fire. In 2015, Andrew Lichtenstein again exclusively marketed the property for his owner, selling it to Wall Home Improvement LLC for $400,000. Andrew Lichtenstein negotiated for his buyer the right to renovate and resell the property during the contract. Wall Improvement renovated the entire building, installing new appliances and fixtures in all units as well as a brand new roof and obtained a new certificate of occupancy. The bureaucracy, inspections and delays to obtain the c of o frustrated the developer, seller and buyer. Andrew Lichtenstein was once again exclusively engaged to sell for Wall Improvement. After finishing the renovations, Wall Improvement rented the residential units for an average of $2,200 a month, bringing a gross annual rental income to around $158,400. This was in excess of the pre-redevelopment projection of $157,200. Net Income after expenses are projected to be as high as $121,000 annually. LichtensteinRE sold it for the third time finally for $999,000. This last sale price represented $166,667 per unit. A Gross Rent Multiplier of 6.3. A Price per Square Foot of $192 and a Cap Rate of 12%. “This transaction required incredible fortitude and patience. It was a most challenging and frustrating road to success. From beginning to end, including the fire, it took us five years to complete this transaction successfully,” said Andrew Lichtenstein. The property is located between Vark Street and Herriot Street, South Broadway and Riverdale Avenue in a low income but nice section of Yonkers. The property has amazing views of the Hudson River and scenic bluffs of the NJ Palisades National Park. Tenants have access to public transportation. The building is located less than a mile of two different Metro North Train Stations; Ludlow and Yonkers stations. The train ride from Ludlow takes only 34 minutes to Grand Central Station in Midtown Manhattan. Tenants can also commute to the city taking the Westchester Bee Line bus and transferring to either the #1 Subway Train in the Van Cortlandt Park-242 Station in The Bronx or the MTA #9. The subway station is only 3 miles away from the building. For drivers going to Manhattan or other boroughs, it has easy access to the Saw Mill Parkway and Henry Hudson Parkway. The property is only around 25 minutes by car from to West 42nd Street in Midtown Manhattan. Yonkers is becoming the next hip town to live in New York. New downtown and waterfront buildings, attract young professionals looking for beautiful views and easy commute. The city of Yonkers has started a marketing campaign called “Generation Yonkers” as an innovative economic development initiative created to reposition Yonkers as the next great urban frontier. Andrew Lichtenstein benefited the title seller, the developer contract vendor and the buyer. The property was marketed exclusively by Andrew Lichtenstein who was the sole source that procured the buyers as well. LichtensteinRE has been actively selling multifamily property and setting sales records for its clients in and around New York City and Westchester County. Posted on Blog on November 20, 2016 by admin. LichtensteinRE.com and Andrew Lichtenstein, Inc. When I was a kid growing up in Bayside Queens NYC, my dad owned an accounting tax practice in Forest Hills Queens. My father told me he was happy and relaxed because we were living rent free. My parents bought their first home in Bayside Queens New York City straight out of college. The home was a recently constructed 2 family home. Their entire mortgage payment was paid entirely by our upstairs apartment tenant. My father suggested that when I marry, that I too follow his footsteps because he felt it was a great blessing to live stress free and rent free. My parents’ first home was on a busy corner bus stop on Cloverdale Boulevard directly overlooking one of the busiest highways in the country, Interstate 495, the Long Island Expressway. My parents sold that house, made a great profit and repeated the same success. Their second home was in Bay Terrace Bayside, Queens NYC a quiet residential bedroom community in close proximity to beautiful waterfront, parks, and recreational fishing at Fort Totten Park on the Little Neck Bay overlooking the Throgs Neck Bridge. That second home also was a respite for our parents who again continued the American dream of home ownership but even more improved, because once again, we lived rent free in NYC. Fast forward to me, their son. Right out of college from NYU Stern School of Business I bought my first home in Manhattan and lived rent free with the mortgage paid by roommates and later by tenants. True to my father’s wishes and advice, my wife and I bought our first home together in Riverdale NYC living rent free with our mortgage paid by our tenant downstairs. Riverdale is perhaps NYC’s closest suburban bedroom community in Bronx, NYC. Riverdale is located right in New York City, but is 7 minutes by car to the Upper West Side of Manhattan. Today I help my clients to achieve the same American Dream. One lucky client bought a 2 family home and vacant buildable lot in Bronx New York. This young man is a second generation real estate principal. He is applying for governmental financing which could offer up to 96.5% project financing to pay for the cost of the home purchase plus renovation costs. The monthly mortgage payments are expected to be around $3,000 a month. If the tenant apartment were rented for $2,000 a month and the vacant lot were rented out for parking which is in great demand, the parking income should be at least $1,000 a month, bringing total income to around $3,000 a month. The result would be that my client too could be living rent free in NYC. Eventually in the future, this owner occupied buyer could move out, rent up the owner’s unit and end up making up to $23,000 nearly $2,000 a month positive cash flow with a total investment of only 3.5% of the project costs or as little as $22,715 before closing costs. That could mean making up to 101% return on investment every year! Adding back amortization $35,000 mortgage pay downs, the return on equity could rise to 154%. Amazingly this lucky buyer can file plans to construct at least a 4 family home on the adjacent vacant lot that I am selling him. That home can be sold for profit, or as he prefers retained for cash flow. My client can transfer the air rights from the 2 family home to the adjacent vacant lot and construct up to a 7 family rental apartment building, and resell both properties and make up to $1 million profit. This builder wants to keep the property, develop it for maximum monthly profit, which after development, could reach $157,000 annual net income before debt service. I wish to share my extensive knowledge and experience of commercial real estate investments, ownership and financing to help our clients to buy, sell, finance, build and fulfill the American Dream and to create wealth and success. Just as my father blessed me with this knowledge so too I hope to share it with my clients. Posted on Blog on October 11, 2016 by admin. Welcome to the Bronx. Well positioned for LichtensteinRE to help you buy and profit now for the future. The number of home sales in the Bronx soared in the first quarter of this year by +35 percent, far outpacing Manhattan -2%, Brooklyn -4% and Queens +6%. I have been selling commercial real estate including multifamily and mixed use investment properties as well as development sites in Bronx, Brooklyn and Manhattan since 1991. I have seen a huge upsurge in demand from real estate developers who are priced out of Brooklyn who are not vying to buy and build in The Bronx. I have several development sites that are not receiving multiple offers. I see this as a great opportunity for sellers and buyers and developers to take advantage of current low interest rates and relatively cheap apartment rents that are only rising. It just makes perfect sense. The average cost of land in the Bronx can be as dramatic as 10% of the cost compared to land in Manhattan, as little as 20% of the cost of land in Brooklyn, and 30% of the cost of land in Queens. Bronx commercial real estate sales volumes in 2016 are poised to reach $2 Billion or nearly 34% greater sales volume than in 2015. To top it off employment is growing nicely. New York City’s unemployment rate fell to 5.1% in May 2016 from 5.4% in April … Bronx. 7.4%. 9.2%. Brooklyn. 5.5%. 7.2%. Manhattan. 4.6%. 5.7%. Queens. I expect the current trend of demand to continue, which is a great sign for continued growth, development, returns and equity appreciation for property investors and developers in the Bronx. Posted on Blog on August 11, 2015 by admin. What do the exclusive seller clients of LichtensteinRE have in common with Albert Einstein and Warren Buffet? Selling commercial real estate investment property and taking profits off the table is one of the objectives of real estate investing. However without prudent real estate financial planning, depending on which city and state you live in, up to almost 40% of profits will go to city, local, state, and various federal taxes ultimately at the time of the sale. But thankfully there is a solution that can defer this tax consequence and compound your wealth. Would you prefer to leave a real estate closing table with only 60% of your profit or with 100% of your profit? It’s not a trick question. The answer is a no-brainer. But every day professional landlords make the error or unnecessarily leaving up to 40% of their hard worked for profits on the closing table. I am passionate to help my exclusive selling clients realize their investment objectives and to help real estate buyers make the most of their real estate income. I think that the bricks should work for the owner and not the other way around. Real estate should ideally be 24 hour a day cash flow income generator even while the owner is sleeping soundly. It is my dream and objective to help my clients enjoy a better life, better standard of living and thus enjoy greater peace, harmony and quality of life all powered by the services that I provide my clients. Under the IRS tax code a seller that uses a 1031 facilitator to act as an escrow agent to hold the sale proceeds to purchase “like kind” real estate investment property that is purchased under the same ownership entity that sold the first property can defer 100% of the capital gains and exchange the first property for ownership of the newly purchased property. We frequently find that clients are looking to exit active, hands on management and exchange into either passive real estate investment, triple net leased property or into property that will be professionally managed producing a higher positive cash flow post sale. $5 million commercial real estate property at 4% cap rate producing $200,000 annual net income prior to sale and exchange into a 5% cap rate purchase that will produce $250,000 annual positive net income after the sale. That result is an immediate 125% increase from presale net income. LichtensteinRE helped one real estate owners ago to sell New York City property at a cap rate of 4% and buy real estate outside New York City at around 8% cap rate. The result immediately post real estate sale and exchange was that the positive cash flow was 200% compared with the presale positive cash flow. 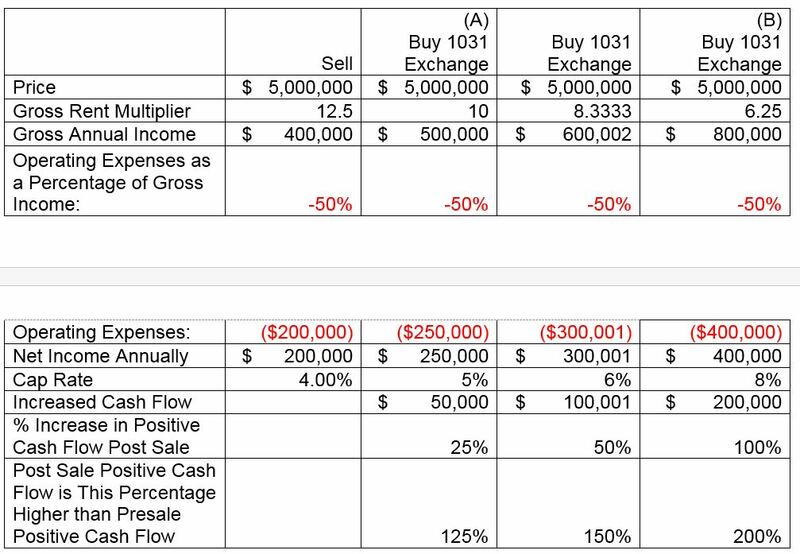 Current positive cash flow 7 years post sale is now 400% that’s how to quadruple RE cash flow the presale cash flow due to rental increases etc. Posted on Blog on February 17, 2014 by admin. Here I am again, taking pictures of buildings. This time my destination is the Marcus Garvey Park and its surrounding Mount Morris neighborhood in Central Harlem. This neighborhood is famous for its original late 19th century brownstones that make you feel like you are back in another era. I have to say, as I was walking around the park I became obsessed with photographing these stunning buildings. I remember when I first came to New York years ago, I was really impressed by these townhouses and I could someday imagine myself living in one. A few decades ago, Harlem was the forgotten section of Manhattan. Things started to change in the 1990s when developers took a renewed interest in the area. They built residential buildings and restored old townhouses. After former President Bill Clinton opened his office on 125th Street, yuppies, artists and regular New Yorkers followed his lead and moved uptown from other neighborhoods. They bought up broken down old grand townhouses for pennies on the dollar and invested heavily to restore their former magnificent architectural luster. But in in the Mount Morris neighborhood prices are not cheap anymore; a renovated brownstone can sell for more than $3 million. If you could afford it, wouldn’t you like to own a gorgeous brownstone like the ones in this picture? Wouldn’t it be nice to go from your townhouse to enjoy a day at the park? The snow on this tree makes the houses to look even more beautiful. These brownstones on 120th Street are called “LichtensteinRE’s Row”, because doctors used to live here more than a hundred years ago. In front of these magnificent entrances, you can imagine going back to the 1880s and see men wearing Top hats and women wearing tea gowns coming down the stairs. The Mount Morris Neighborhood is the section of Central Harlem in Northern Manhattan that surrounds the Marcus Garvey Park. The park is more than 150 years old and one of the oldest in NYC. It occupies a 20 acre land located between 120th and 124th Streets. At the West is surrounded by Mount Morris Park Avenue and by Madison Avenue in the East. Just like Washington Square Park is build right on and over interrupting Fifth Avenue. The park used to be known as the Mount Morris Park but its name was changed in 1973 in honor of Marcus Garvey, one of the founders of the Black Nationalist Movement from the early nineteen hundreds. While there are beautiful brownstones all around the park, the finest and most luxuriant houses are located on the west side of the park. These properties are part of the Mount Morris Historic Park District, a 16-block area between 118th and 124th Street and from 5th Avenue to Adam Clayton Powell, Jr. Boulevard (Seventh Avenue) in the West. These properties were built between the late 19th and early 20th century, representing the style of the Gilded Age. When was the last time you visited Brighton Beach? Posted on Blog on February 15, 2014 by admin. Brighton Beach has changed a lot in the last few years. Among the traditional houses and prewar brick buildings you will see newly constructed buildings on every block. Last week, I visited the neighborhood with my husband and partner Andrew on one of our real estate scouting expeditions to search for new selling opportunities. It was a bone chilling 20° and the wind from the nearby Atlantic Ocean made it painful to be outside for longer than a few minutes at a time. But the sky was so clear, blue and sunny, that it was a pleasure to walk. Like all Brooklyn, Brighton Beach is experiencing a real estate boom. The Borough has become the “darling” of New York City. In the past, New Yorkers came to Brooklyn because Manhattan was too expensive to afford, but now people come here directly as a principal destination. I have read that Brooklyn has become so expensive that some renters are going back to Manhattan. Additionally, real estate investors from all over the world, especially from China come here looking to buy multifamily properties. As nice as all these new buildings are, I am happy to still be able to see the traditional one story mother-daughter houses and the ornate prewar buildings. Walking on Brighton 2nd toward the Boardwalk I found this gorgeous building that had been just renovated. Look at these gorgeous details in the front entrance. Who wouldn’t like to live in this corner apartment overlooking the Atlantic Ocean? The neighborhood is located on the southern tip of Brooklyn. Summertime is a magnet for beachgoers, sun worshippers and tourists, because of its lovely beaches and the iconic Boardwalk. But Brighton Beach is more relaxed, laid back and not as crowded as Coney Island. Maybe we should call Brighton Beach the “Sochi of the Atlantic Ocean” a reference to the Black Sea City where Russians love to spend their summers. LichtensteinRE.com has been one of the most active commercial real estate brokers in Brighton Beach having sold property here successfully for multifamily property owners. Obviously, at this time of the year only a few people were walking, even among the cold weather loving Russians. Cash Flow, Cash Flow, Cash Flow! Posted on Blog on December 6, 2013 by admin. Posted on Blog on November 11, 2013 by admin. LichtensteinRE.com has been selling multifamily real estate in the New York area since 1986. Together with affiliated Andrew Lichtenstein, Inc buyers have used the mortgage financing procured by Andrew Lichtenstein to leverage their purchase of investment property and pay down their mortgages. In at least one case the principal investor paid off the mortgage entirely enjoying free and clear fee simple ownership. Investors have a choice of maintaining high leverage and reduced present cash flow enabling the investor to grow its real estate investment portfolio in a greatly accelerated pace.Alternatively, investors can choose slower growing reduced real estate portfolio by aggressively amortizing mortgage indebtedness. Timing the market has proven difficult and the long term vacillations of the real estate market has shaken out poorly timed aggressively leveraged real estate investors.Many leveraged investors have lost their entire portfolios when the real estate market turned down, rental markets consolidated, and credit markets tightened.On the other hand conservative owners who focused their efforts on first becoming free and clear survived the ebbs and flows of both the credit markets,price fluctuations as well as the rental markets. While Andrew Lichtenstein recommends longest term self-liquidating self-amortizing fixed rate mortgages that are the industry norm for single family homes; however, this type of financing for multifamily is virtually non-existent as common as a needle in a haystack.However, 15 year fixed self-liquidating financing is readily available and some neighborhood banks offer 5 year fixed rate terms with optional rollover options going out 25 to 30 years. These offer the benefit of self-amortization;however, no one can foretell what future interests rates will be at the end of each 5 year term. With no rate ceiling there is no telling whether future debt service will be beneficial or untenable. Andrew Lichtenstein has a multifamily lender that offers 30 year self-amortization but with fixed rates during the first 5 or 7 years with the remaining 23 to 25 year ARMs reset annually. Andrew Lichtenstein has a multifamily and mixed use source of capital that is truly 25, 30 and even 35 year fixed rate and self-liquidating with rates as low as 3.25% today. If you share Andrew Lichtenstein’s personal dream of owning investment real estate free and clear he would love to help you realize your goal that will bless you,your family and your investors. Posted on Blog on October 10, 2013 by admin. 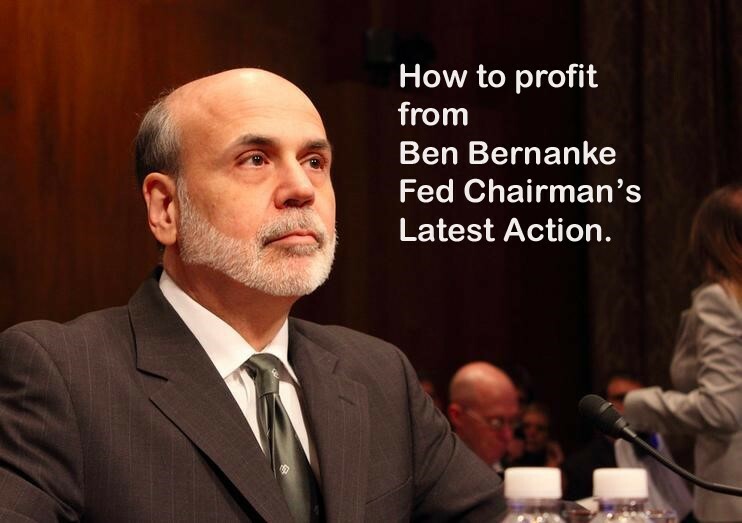 How to profit from Latest Action of US Federal Reserve Chairman Ben Bernanke. If you were considering selling real estate, here is why you should sell today. See the carefully researched facts below. Every time rates go up, the price of your investment property goes down. 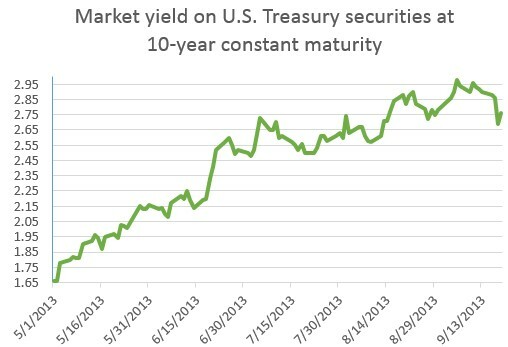 May 1st 2013 base index US 10 year US Treasury CMT interest rate yields were at their low of 1.66%. Interest rates had gone up 1.32% to their recent high peak of 2.98% on September 5, 2013 based on the market’s fear expectation that the fed will begin ending its fiscal stimulus program. That??? san 80% rate increase from their lowest base rate yield index rate cost of borrowing! 6/20/2013 2.41% U.S. Federal Reserve Chairman announces future end to quantitative easing. 9/18/2013 2.76% Ben Bernanke US FedChairman announces postponement of reduction of quantitative easing. See the *effect below that this rate increase has had SO FAR on the value of real estate. 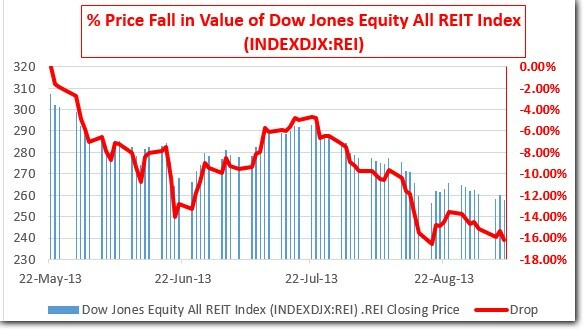 * Effect: The total value of All Real Estate Investment trusts in this index has fallen 16.14% from its 12 month peak since the announcement that quantitative easing will be terminated. The index represents all publicly traded real estate investment trusts that own and operate income-producing real estate in the Dow Jones U.S. stock universe. May 22, 2013 the market peak of real estate values was clearly reached and peaked. Prices have clearly begun to fall. This is why, if you were considering selling real estate, you should sell today. LichtensteinRE has recently been exclusively engaged to sell the investment real estate of several keen real estate owners who share our belief that they should lock in today’ s very highest price possible to take advantage of this current seller?? ?s price bubble before it becomes too late. 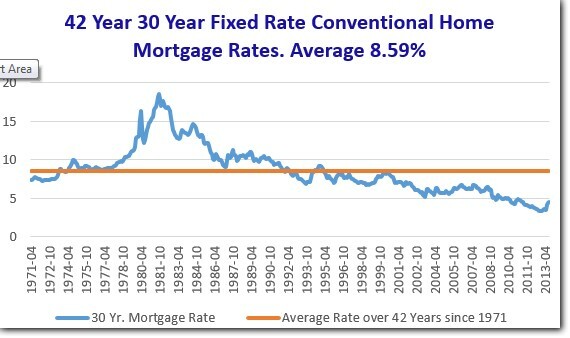 Looking back at interest rates over the past 42years from 1971 to 2013, 10 year long term fixed commercial mortgage rates which closely parallel 30 year conventional fixed rate home mortgages rarely went lower than 5.23% and actually averaged 8.59%. Today, DoctorMortgage.com can refinance and lock a commercial real estate owner’s property or for a real estate buyer and investor sub-5% long term fixed rate interest rates, or as low as 3.375% for short term fixed rates. The well timed real estate investor can still take advantage of these quickly disappearing historically low rates. The best part is that LichtensteinRE has successfully sold New York City real estate for owners and in many cases helped them trade up and enjoy1031 tax free real estate exchanges into other higher cash flowing real estate.In some cases our 1031 exchange clients have tripled their post-sale cash flow.In some other cases exchangers have been able to convert their net income into what was previously their gross income. Call LichtensteinRE and ask for a free 1031 exchange forecast to see if you too will benefit with higher cash flow. LichtensteinRE will sell your property for the very highest price possible. Email or call Andrew Lichtenstein President of LichtensteinRE at 800-242-9888 AL@LichtensteinRE.com.